The highly efficient Apevia 700W Aqua power supply is specially designed for PC gamers and enthusiasts, but with the unique windowed side panels, it's awesome for modders! This quad-rail power supply features 4 independent +12V rails for better power distribution, and can handle most overclocked, extreme gaming, or power hungry systems. 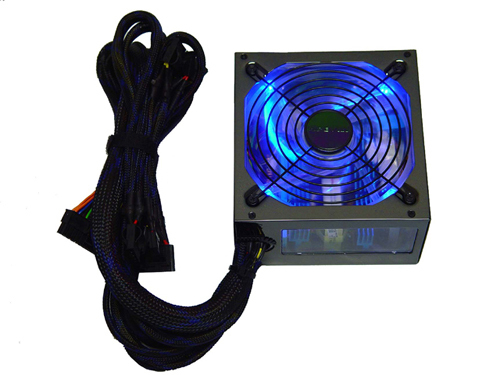 Apevia is well known for its unique personal style, and this power supply is no exception. Add in the flair of a thermally-controlled, 135mm LED fan to this unit's high-performance and reliability, and you can see why our Aqua power supply triumphs over the competition.